When Dave Towse’s hands started cramping up in a no-fall-zone on a 5.12c X, things got scary and fast. The White Cliff, edited by Grant Farquhar. The following story is excerpted from the new book The White Cliff, a collection of epic tales of life and death on one of the world’s best sea cliff: Gogarth. Celebrating climbing on Gogarth, Grant Farquhar has compiled text and images from over 100 climbers, many recounting early ascents and epics. 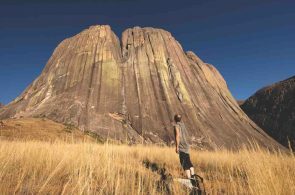 This book offers a historical narrative interspersed with essays by various climbers that have written their stories onto the cliff’s walls throughout the years. 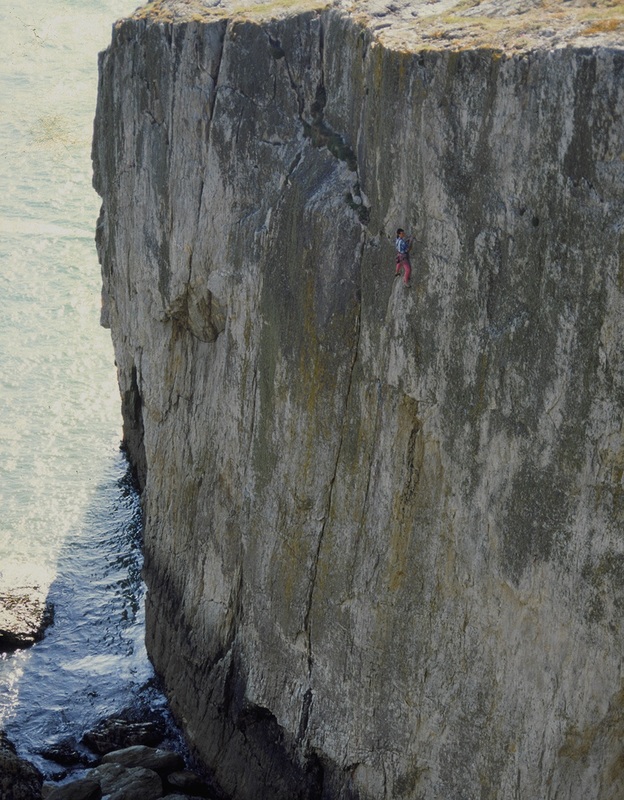 The climbers who have been drawn to touch the stone of Gogarth have often been the best of their generation and have pioneered amazing routes elsewhere. 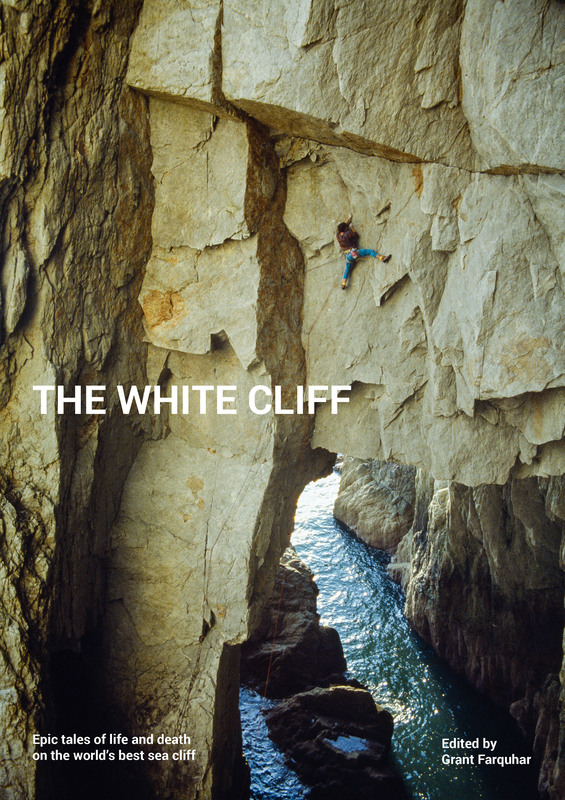 The White Cliff offers a glimpse into their personal stories of life and death. 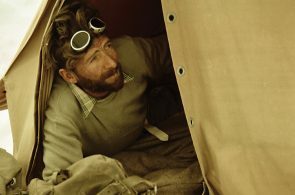 It details the history of the exploration of the cliff in the context of the time period, climbing standards and the development of equipment and techniques. Without further ado, enjoy this gripping tale, by Dave Towse, which appears in The White Cliff, published by Atlantis Publishing. Mike Owen on the third ascent of The Hollow Man (E8 6b / 5.12c X) around the spot where Dave Towse bailed. Photo: Elaine Owen. I’m sure falling would not be a better alternative than staying right where I am, no matter how painful and pitiful that place may be. I’m 45 minutes into what should be a unique lead for me, a totally soul consuming North Stack experience: The Hollow Man [E8 6b / 5.12c X]. Yet, it has also turned into an earthly horror story of intense pain, cold and cramps. It’s a human trait to perceive of a particular time when it appears that life, the people around us, our actions and emotions create an intense richness of being that will never be surpassed. 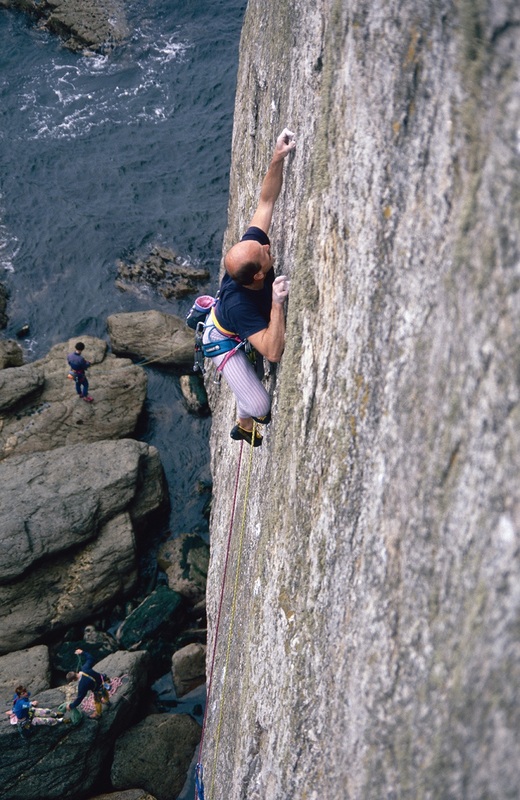 North Wales climbing in the 80s was such a place and time for many of my generation. 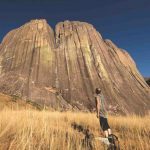 A very disparate group of British climbers were seeking out that “strangest of fruit,” life threatening, extremely technical climbs at the limits of our ability. 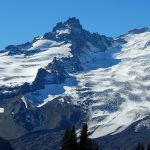 It created an attraction for some climbers that ended with the self-immolating act of burning and sacrifice as they reached too far. The definition of limits may not just be set by another success, but potentially by a drastic or deadly failure. Maybe on North Stack that moment had arrived for me. Man, it’s a bitter cold November day. There is too much pain and I am nearly done. I will fall from here: the place where you cannot fail, it’s right for the time. I am on the final moves: the ones that end when you plummet to the rocks below. JR was belaying. Back then, his artwork related to the archaeology, myths and legends of many cultures. The hunter-gatherer, strong male and female, time-transposing the situations and people, their relevance propelled into the world of today. He approached this with a modern forensic—yet artistic—preoccupation he described as akin to ‘diggin’ bone and sod’. He created a fine and rare palate of experience. 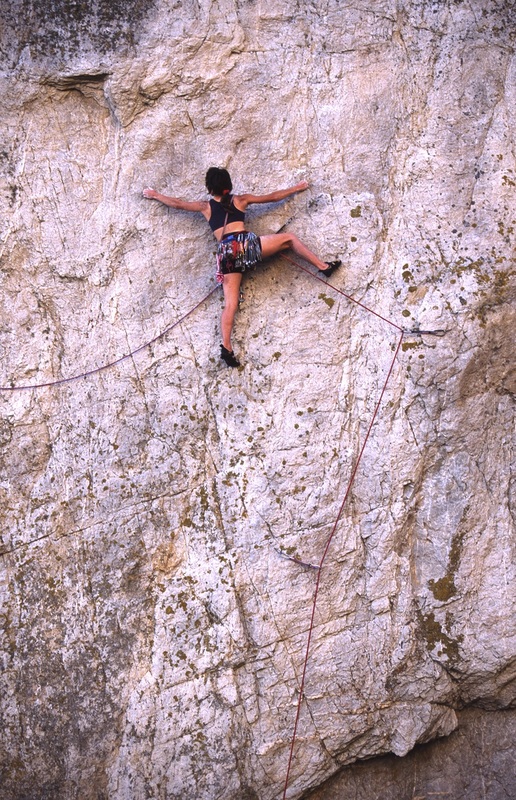 Climbing was meant to be an interpretation of the medium, the earthly reality. Life and death depended not just on strength and skill, but also on the intangibles of personal spiritual awareness, intent and ritual. I think of the cold Welsh evenings, the light from the warm wood-burners setting the backdrop for conversation on the interpretations of ancient art, such as found in the Lascaux cave paintings of France. The pictographs in the Shaft of the Dead Man, showing a shaman disemboweled by his quarry. Was this the lesson set there to warn us of the pit of hubris and bad faith. Am I the lost hunter in JR’s mind, destroyed in the “Fields of Savagery” where both quarry and hunter have a chance of life or death? A bloody fine line. Only Andy Pollitt and JR had climbed the route previously. I’d followed JR up it breezily a couple of months before in the fading light of a warm summers’ evening. What could possibly go wrong? Oh Johnny, we chased the “rare” in those climbs. Before today, I had crossed this wall back and forth, I’d Angle Manned on lead, just below this very spot; Stroked the Fiend with Martin Crook and JR in the other direction. Now where am I? I’m about 15 feet above and a little left of the tied-off peg of The Bells, The Bells! [E7 6b / 5.12b X]. I’ve done the crux and all the hard climbing is already over to get me to this place. Glenda Huxter on The Bells, The Bells! (E7 6b / 5.12b X). Photo: Alan Leary. Offshore, I can always blame working offshore. Too much inactivity and freezing cold days waiting for sea states to come good, permits to be issued. Maybe I was just too lazy to train this last trip. With big Diver Chris, you train one body part at a session; biceps Tuesday, triceps Wednesday lunchtime anyone? Sometimes the crew you are with drinks a lot of tea, eats haggis, pies, and smokes constantly. The last one had been a haggis and pie trip. 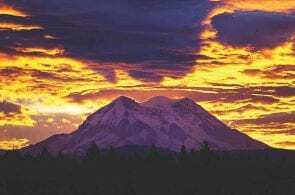 Twenty-seven years on, nine-year-old Jade Ebony, my daughter, is playing at a friend’s house in Blue Diamond and my wife, Glenda, is grappling with writing her own North Stack epic. The Red Rocks near Las Vegas are covered in rare cloud today. I wrestle with old memories. It’s November and damn cold outside, which is a good start. That single arbitrary decision was crucial. A little more peer pressure and I may have caved in, and said, ‘Pull it.’ The rope was now hanging down Blue Peter, about 30 feet to the side and around the corner of Flowers of Evil. Nice route, poor choice of rope positioning. So I try again. All I’ve got to do is: make around three fairly easy 5c moves to get to the bomber Flexible Friend, then cruise a little, well-protected 6a section to the top. That’s no problem, right? I reach up; my hand instantly cramps before I get the chance to make the finger shapes that will fit the hold. Again, the mental tension rises. The fear bubbles up, it’s vicious. I feel bitter cold, left with some other creature’s hands that I can’t control. I really have to get out of here. Time goes by, in that seesaw of calmness versus cramps of fear, but the balance is shifting. The cramps are increasing, the fear increasing, and the calmness leaking slowly, but surely, out of my body. I am screwed; I am going to die. I think I’ve been on these holds for 30 minutes now. I have arrived at the moment of choice. I am left with only falling or a tenuous, almost fanciful, chance of getting out of here alive. “OK Davey,” JR says and unclips the lead ropes. He runs, scrambling towards the sea, attempting to drag the abseil rope around the corner towards me. He slips in a mess of wet slimy weed. It all feels like slow motion. Eventually the abseil rope is taught, sideways, running across the wall. I dare not just reach for it. I swap hands again, and the rope finally slips within my arms. I lay against the rock a moment longer and feel the abseil rope against my face. I’m not sure whether I can hold it, if I try. I’m just going to stay here a while longer; it’s not such a bad place after all. I think of other days on this wall, there had certainly been more than a few. But I am not free of this yet, is this my time? I search deep for one more moment of calmness and strength. JR has me back on belay; it’s time to bail out. 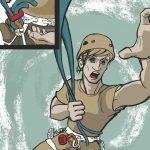 I carefully wrap the abseil rope around one arm and hand, as I cannot open a karabiner with my frozen cramped fingers. I let go of the rock. Finally, I fall, with shocking acceleration, sideways, across The Bells and Wreath, the rope friction biting into, and burning, my arms and hands. The tied-off peg slows the pendulum as JR balances the lead rope pressure, fearful to not put too much force on it, lest it fail and I hit the other side of Blue Peter. Next, all I remember is being at the ground, burnt hands plunging into cold rockpools. We hug and laugh manically; JR can do a great manic laugh. 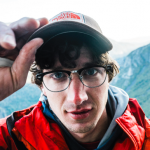 Where does failure like that leave you as a climber? What does it do to you, to be burned like that? I have not climbed at the limits of my ability with such poor gear since, yet I still climb. The times come around, and I know when to pull and deal with the consequences. I still keep the calmness and see the lines of survival. Glenda Huxter on The Long Run Direct (E6 6b / 5.12a R). Photo: Alan Leary. Dangerous climbing attracts an incendiary group of people and it’s a strange, forbidden fruit to eat. Those that have had that experience will know. For those that haven’t, I say don’t reach for it, unless you are more than sure that you will like what you learn about yourself, whichever way it rolls. 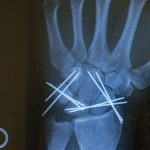 Don’t reach for it for fame or thrill, or out of habit, and look out for the internal monsters of bad faith or hubris. 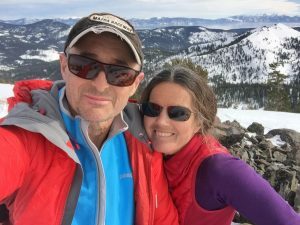 For me, it ended that day with a personal understanding of how close to my physical and mental limits I could come: that feeling of entering a different state of being. In the end, I was grateful to be able to walk away, cradling the ashes of an ego, the manic laughter and experience feeding a deep need, still breathing, still full of life. On fire. Pick up a copy of The White Cliff today!